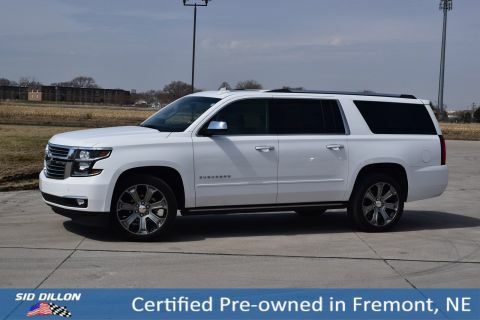 Safe and reliable, this 2017 Chevrolet Suburban Premier comfortably packs in your passengers and their bags with room to spare. Warning tones headlamp on, key-in-ignition, driver and right-front passenger safety belt unfasten and turn signal on, Tire Pressure Monitor System air pressure sensors in each tire with pressure display in Driver Information Center, Teen Driver mode a configurable feature that lets you activate customizable vehicle settings associated with a key fob, to encourage safe driving behavior. 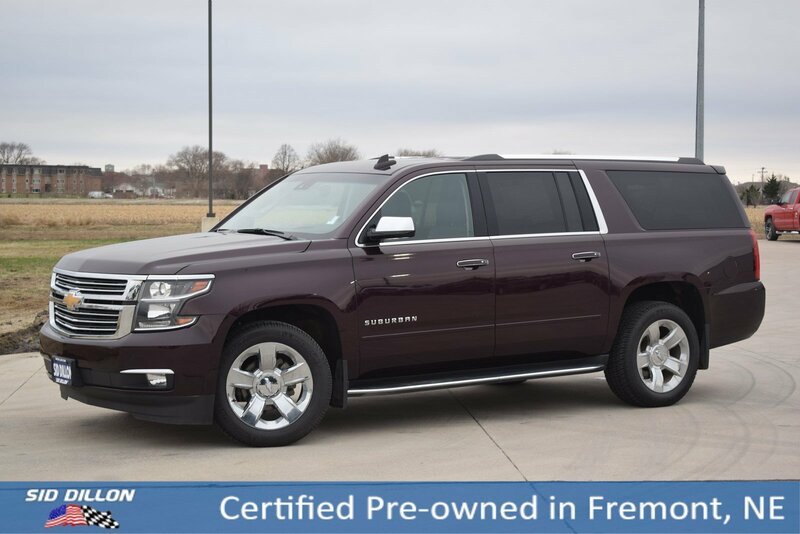 It can limit certain vehicle features, and it prevents certain safety systems from being turned off. 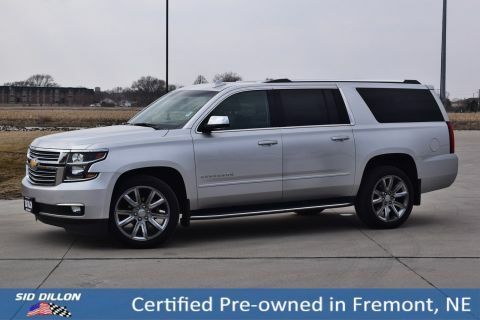 An in-vehicle report gives you information on your teen's driving habits and helps you to continue to coach your new driver, StabiliTrak, stability control system with brake assist, includes traction control, Side Blind Zone Alert with Lane Change Alert. 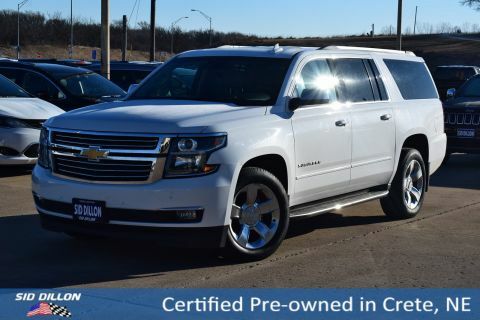 A short visit to Sid Dillon Fremont Chevrolet located at 2500 E 23rd St, Fremont, NE 68025 can get you a trustworthy Suburban today!